Music is the focus of the next week as a Grammy award winning folk group, Broadway star, jazz sensation, and modern chamber opera all visit Oklahoma. 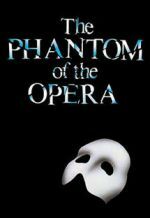 The “Music of the Night” is a pinnacle moment of Andrew Lloyd Weber’s musical “The Phantom of the Opera.” Franc D’Ambrosio recreated the magic of that song on Broadway as the title character for a decade. He holds the title of the “World’s Longest Running Phantom” and also starred in “The Godfather III” prior to becoming “The Man in the Iron Mask.” Throughout his career, D’Ambrosio has worked with director Francis Ford Coppola, performer Barry Manilow, and opera tenor Luciano Pavarotti. He performs at East Central University in Ada next Tuesday. Tony DeSare is known for his smooth voice and swinging rhythms, as well as his ability to cover a variety of jazz and pop standards ranging from Prince to Johnny Mercer. The Oklahoma City Philharmonic named him “Cupid’s Wingman,” which given his associations with Harry Connick Jr. and Michael Buble for their similar neo-traditional styles, may be appropriate. DeSare has also starred in the off-Broadway musical “Our Sinatra” and was named a “Rising Star” by Downbeat Critics Poll in 2009. “Cupid’s Wingman – Tony DeSare” hits the stage Friday and Saturday at the Civic Center Music Hall in Downtown Oklahoma City. Chamber Opera is relatively new term, only coined in the 1940s for operatic works mean to be performed with a chamber ensemble as opposed to an orchestra. The University of Central Oklahoma’s School of Music celebrates this musical form with presentations of two contemporary American chamber operas. Opera students bring “A Hand of Bridge” and “Gallantry” to the stage. The former involves several characters expressing their true feelings vocally as they play a hand of bridge, while the title is a spoof of a soap opera. Performances are held from Thursday through Sunday in Edmond. Look for more events during the next week on our calendar page.